Police are investigating at least three robberies reported in the Loop and nearby Streeterville on Tuesday evening. No arrests have been made. In the first case, a woman from out-of-town told police that three or four men pushed her several times and stole her purse at the Monroe Blue Line station around 5:25 p.m. She said the robbers were black men who all wore long gray coats. Taken was a black handbag with gold zippers. 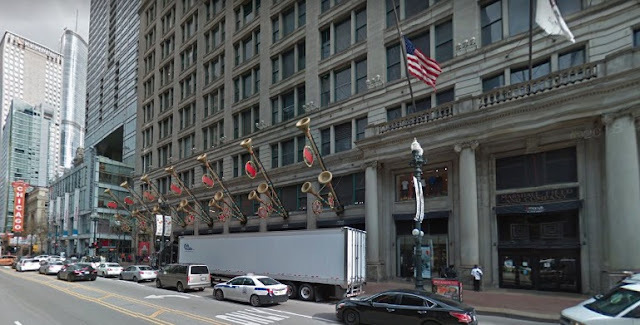 Then, around 6:30 p.m., a shoplifter pulled out a handgun and threatened Macy’s security guards who tried to stop him at the retailer’s flagship location, 111 North State Street. Macy’s employees were able to disarm the robber, but he managed to escape and was last seen heading south on State Street. The robber was male, black, 22- to 28-years-old, 250 to 260 pounds, and wore a puffy black coat with fur on the hood, tan cargo pants, black 90’s-era Air Jordans, and a black winter cap, according to the loss prevention officers. 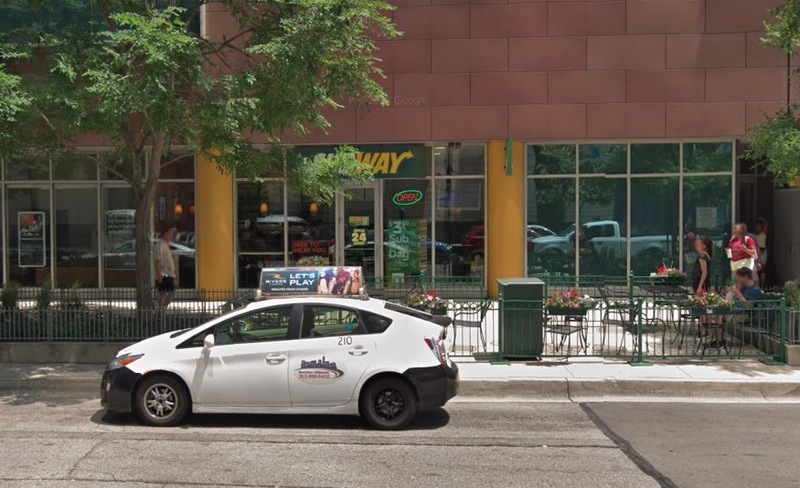 A Streeterville Subway restaurant and one of its customers were robbed at gunpoint around 8:45 p.m. The offender entered the store at 511 North McClurg, pulled out a handgun, and collected the store’s cash drawer, change dispenser, and a customer’s ring, according to a police report. He then fled north on McClurg with the cash drawer tucked under his coat. Video showed the offender to be a thin white or Hispanic man in his 40’s who stands 5’7” to 5’10” tall. He was wearing a dark-colored scarf over his face and a dark three-quarter length coat. Also under investigation in the Near North neighborhood is an armed carjacking that was reported Saturday evening. The victim told police that he was shoveling parking spots in the 300 block of West Wendell around 7 p.m. when a gunman approached and demanded his car keys. Taken was a red 2016 Hyundai Sonata with Wisconsin license plates. The gunman is described as a black man in his 20’s who was wearing a “straight outta Compton” t-shirt. He’s 5’10” tall, had dreadlocks, and wore a black hoodie, beige boots, jeans, the victim said.